Introducing Our Limited Release Christmas Wines for 2018. 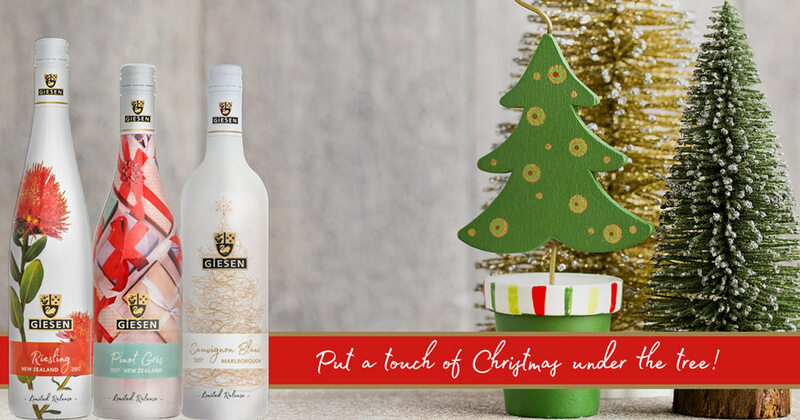 Share the Christmas spirit with Giesen’s festive limited release holiday wines! It’s beginning to look a lot like Christmas at Giesen. This year we’ve squeezed some extra love into three of our Estate wines, wrapping the bottles in festive cheer. Our team have designed special holiday sleeves to trim up our Marlborough Sauvignon Blanc, Pinot Gris and Riesling. We want to brighten up our cellar door and spread the joy with your local retailer, just in time for the silly season. These holiday designs are a limited release, so when you see one at your local, grab it before someone else does! 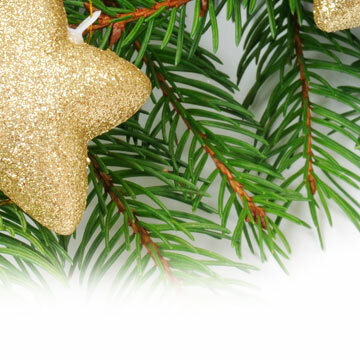 Holidays are meant to be a time of celebration and togetherness, but all the festivities can leave us feeling spread too thin—there’s just so much to do! With this in mind, we wanted to make your Christmas a little easier – leaving you to focus on enjoying the moment. Don’t spend ages trying to transform a bottle of wine, cellophane, leftover ribbon and sticky tape into a Pinterest-worthy masterpiece—just leave the gift wrapping to us! Add your personal touch with the gift tag on the back of the bottle – simply write your message with a sharpie or vivid. We promise this is one present that won’t be re-gifted! No fear of re-gifting means you can add a special note with no fear of finding it lying around the office or abandoned at a family gathering. Whether you need a quick gift for the office Secret Santa, a stocking stuffer for the person who has everything, or you just want to add a touch of celebration to the table, pick up a bottle of Giesen and relax. Share the Christmas spirit with Giesen’s festive limited release holiday wines! Whether you choose the Marlborough Sauvignon Blanc, Pinot Gris or Riesling you can rest assured it will taste great. Our award-winning Giesen Estate wines are crafted with premium fruit by our experienced winemaking team and are sure to please even the most discerning wine connoisseur. “ Tip: When the bottle is done it’s easy to recycle, simply peel the festive PET label off using the perforated edge and place the bottle along with the PET label in your recycling bin. Limited release Giesen Estate holiday wines are available now throughout NZ at your favourite New World, Pak’nSave and Countdown. Also, try your local SuperLiquor or LiquorLand Stores. If they don’t have it available yet, ask them nicely to get the stock in asap. Our Giesen Estate Sauvignon Blanc will be available across Australia at your local BWS and Dan Murphy’s – while stocks last of course! Great wines are the ones we remember from fun experiences with family and friends, that’s why we created Giesen Estate. Our Estate wines showcase distinctive regional varieties which are generous, smooth, relaxing – and most of all taste great!